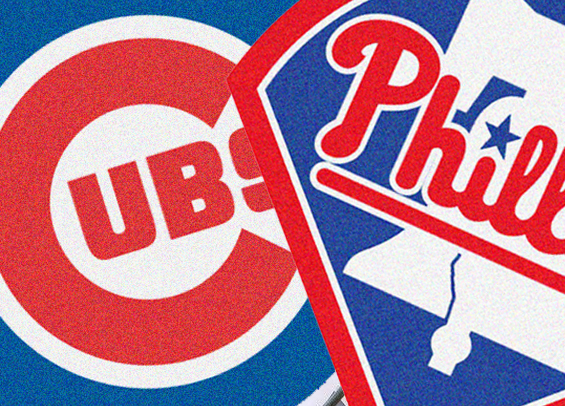 The Phillies are in the midst of a tough stretch right now, and it's not going to get any easier tonight as the club opens a three-game set at Wrigley Field against the hot Chicago Cubs. Jake Arrieta threw around some harsh, but deserving words following Sunday's lackluster loss in San Francisco. The offense mustered just one run over the entire three-game set, and that came via a solo shot from Arrieta. "It was a horse[bleep] series," he told reporters afterward. The Phillies, who started the season well, now sit 2 1/2 games off the pace in the NL East and five games below .500 on the road. The issue as of late has been an offense that looks lost at the plate, putting up ugly strikeout numbers while failing to work deep counts and get on base. The club is hitting just .238 over the previous month. Zach Eflin will make the start Tuesday, and it's a big one for him. After looking spectacular to open his season the righty has an 8.10 ERA over his previous three starts. His leash is getting shorter, particularly with so many alternatives available at Triple-A. He'll be opposed by righty Kyle Hendricks who has a 3.19 ERA on the year. The Phillies announced Tuesday reliever Drew Hutchison cleared waivers and in lieu of accepting the outright assignment to Lehigh Valley elected to become a free agent. He posted a 4.61 ERA with the Phillies over 21 1/3 innings this season. The club also transferred J.P. Crawford to Lehigh Valley to continue his rehab assignment as he is on the mend after dealing with a forearm strain. He went 4-for-20 with a homer and a walk through five games with High-A Clearwater this past week.